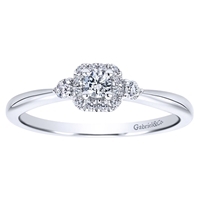 This complete engagement ring featuring a petite round center diamond features a smooth white gold band, designed by Gabriel & Co. A special and complete with round center diamond engagement ring ready to set the world alight! 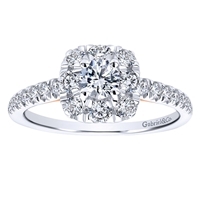 Diamonds shimmer in this halo engagement ring! 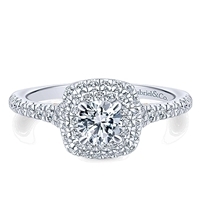 This solitaire halo diamond engagement ring is all set with an included round center diamond is a sleek and very unique diamond engageemnt ring. 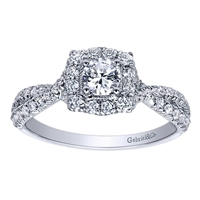 Complete Diamond Engagement Ring! Vintage Style meets Modern Flair! 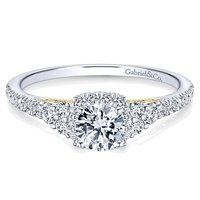 This smooth and stylish round diamond halo engagement ring uses two tone gold to help create its shine! Decoarted Diamonds for Days! 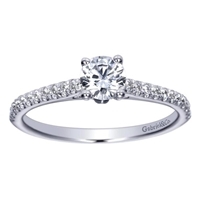 Double Diamond Halo for Double Diamond Pleasure! 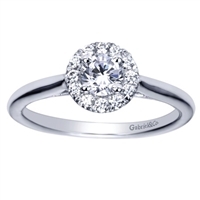 This fabtastically simple and elegant diamond engagament ring comes complete, with a round center diamond delivering the shine! 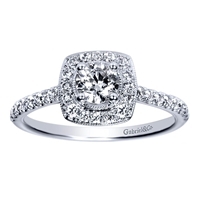 This shimmering white gold diamond halo engagement ring glistens with over 3/4 carats of shine! A Princess Diamond for a Princess! 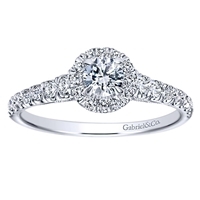 This straight diamond engagement ring with over three quarter carats of round brilliant diamonds features a round center diamond. 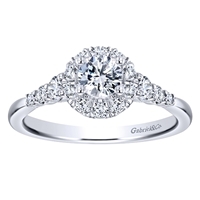 This stylish round diamond halo engagement ring comes with a beautiful and shimmering round brilliant cut cenrter diamond! 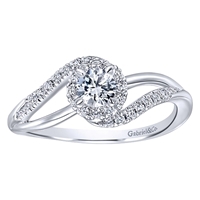 This super sleek white gold diamond halo engagement ring includes a round center diamond! 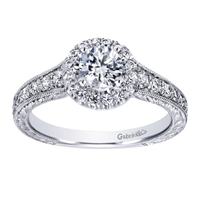 This elegant white gold diamond halo engagement ring showcases a round center diamond that is included with this beautiful engagement ring! 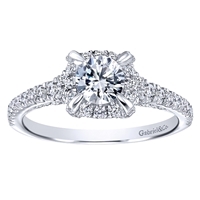 This stunning round diamond halo engagement ring includes a round center diamond! 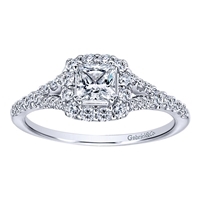 Complete Engagement Ring! 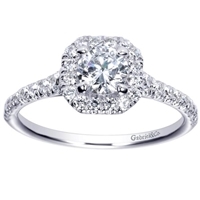 Shimmering diamonds overlay white gold or platinum in this royally inspired victorian halo engagement ring. 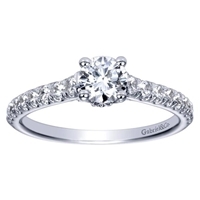 Complete Engagement Ring! 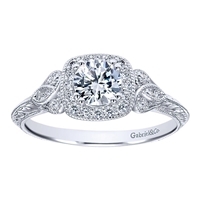 This spectacular diamond halo engagement ring is all ready to go on her finger with a one half carat center diamond does all the work!